Last updated: July 26, 2018 at 8:02pm by Savanah – Mississippi is taking a close look at potentially legalizing a state lottery as well as sports betting sometime this year. MS casino revenue was down about 2% last year compared to the previous year. Early in 2015, State Representative Bobby Moak introduced a bill for the fourth straight year that would legalize online gambling in Mississippi if passed. Unfortunately, the bill died once again. A similar bill is expected to be introduced this year. 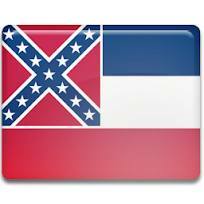 Some people believe MS will be the third next state to pass internet gambling behind CA and NY. However, the House Gaming Committee chairman mentioned that sports betting and a state lottery has a better chance of getting passed before online gambling. 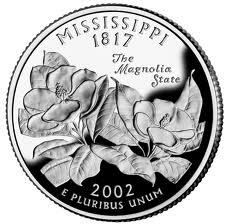 The State of Mississippi is fairly strict on their laws when it comes to gambling. As long as the gambling activities fall under their regulated guidelines and deemed legal, there are no issues once so ever. However, if the gambling activities are not specified directly in their laws, and there are any gray matters, issues could arise as it being an illegal form of gambling. This section makes it pretty clear they do not allow the promoting or playing games for money that is not regulated by the state. When it comes to playing poker online for real money, there are no laws that specifically state this is illegal. Although many people on both sides of this isle could argue their case of whether or not this is an illegal form of gambling. No such cases have been found where someone was arrested and prosecuted for playing poker over the internet. The Mississippi Gaming Commission (MGC) was established to ensure the integrity of the State of Mississippi and maintain the public confidence in the gaming industry. Visit the MGC website to find up-to-date information on gambling within the state, regulations, reports, casino locations and much more. The Department of Revenue is the primary agency for collecting tax revenues that support state and local governments in Mississippi. They ensure all gaming tax revenue is accounted for and provides annual tax reports for the general public to view. What Forms of Gambling are Allowed in Mississippi? Commercial and Indian Casinos – Commercial casinos were made legal in Mississippi in 1990, with the first casino opening in 1992. Currently, there are 31 operating casinos, 28 commercial and 3 Indian, which employ 37,000 people. In 2014 (the latest numbers available), these casinos generated $935 million in tax revenue and had a $4.1 billion economic impact. The tax revenue is spent on housing, education, transportation, health care services, youth counseling programs, and local public safety programs. Charitable Gaming – Bingo is the main form of charitable gaming allowed in Mississippi. An organization must be a 501(c)(3) non-profit and apply for a license before offering bingo as a fundraising activity. In order to receive a license the organization must complete and submit their application to the charitable gaming division. The application is then reviewed and goes before the Gaming Commission, which meets monthly, to approve or disapprove the license. The charitable gaming division is to issue and renew annual state licenses, required by law, for organizations that conduct bingo games, and for manufacturers, distributors or operators of supplies or equipment for games.